I guess I've always had a lot to say... hopefully you will find things here that uplift, encourage and even entertain. Why? Because "Stephanie Says So"
Let's have some FUN ~ ever heard of a Clerihew Poem? Well, they are FUNNY POEMS ABOUT PEOPLE YOU KNOW (Or not. You can write a clerihew poem about anyone ~ BUT, they ARE intended to be FUNNY 4-line poems about specific people). A clerihew is a RHYMING poem that is four lines long, but no set beat or number of syllables to worry about. The Clerihew poem takes its name from its creator, Edmund Clerihew Bentley, 20th century humorist and novelist. It's a fun little poem about a PERSON, generally someone famous OR you can make it about someone you know. Often whimsical, it's meant to be funny (not rude-funny, but cute-funny). * AND the endings of lines 1 and 2 need to rhyme with each other. * AND the endings of lines 3 and 4 need to rhyme with each other. Remember, a clerihew poem is meant to be humorous. 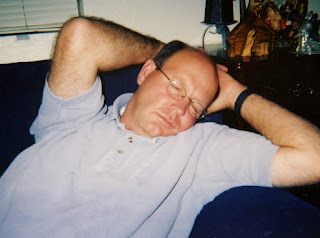 My sweet, good husband works hard and plays hard and then crashes on the couch – we have DOZENS of photos of him asleep. I wrote this clerihew poem a few years ago, but I still love it and so I’ll share it as my example. To make him happy, just share your toys. But by afternoon, he falls asleep! PLEASE REMEMBER ~ any poetry found on this blog, written by me, is my personal property and may not be used without my permission, other than sharing it as an example in a lesson or to read it to someone. The same goes for any poems that are shared in the comments of this blog or elsewhere online as a result of this challenge. They are the creative property of the person who writes them. These poems are their original work and no one may use them without their permission. It is understood that they own the copyright for to them as soon as they post them. Thanks so much! Also, if you choose to post your poems on your own blog ~ that’s awesome. But PLEASE don’t just copy and paste my daily instructions, but rather post your poem on your blog or you FB wall or wherever AND LINK BACK TO THIS BLOG POST for others to come here to read the instructions. I’ve spent considerable time researching the poetry forms and writing them up to share with you. Thanks for respecting my work. When you come down with the flu. 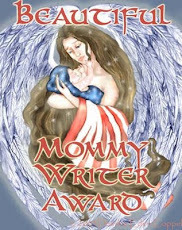 ~Some of the books I review are given to me by the author or the publisher, some I have purchased myself, some are gifts and some I get at the library. All books, regardless of how I came to read them, get my honest opinion. I also reserve the right to refuse books for review at my own discretion. Just thought you might like to know. I'm a writer, and observer of life. I grew up in Southern CA, graduated from Hollywood High School and met my sweetheart in a snowball fight at BYU. I love my remarkable and growing family (great husband, Jim, married in 1970; 5 kids - 4 living - 18 grandchildren and one great-grandchild)! !